Portugal’s second city, Porto, is quickly growing as popular as its first. More and more people are moving to Porto for work, university, as digital nomads, or to join Porto’s growing startup scene. 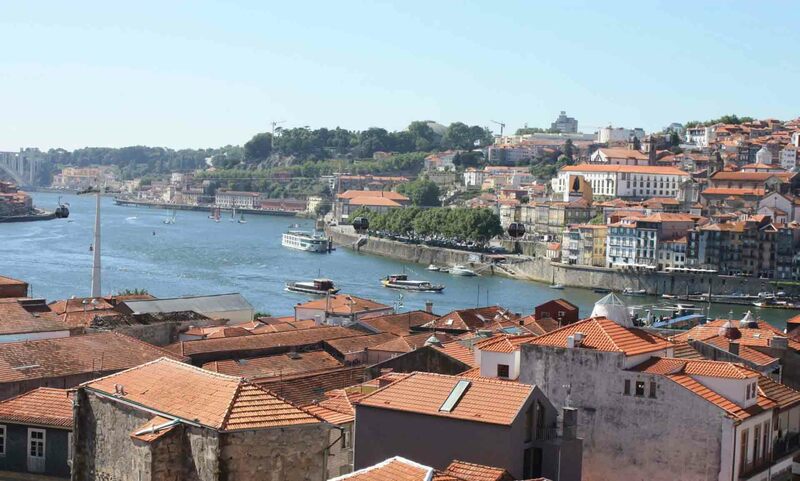 Finding accommodation in any city can be challenging, and Porto is no different. It’s a little easier than Lisbon, which is facing a bit of a housing crisis at the moment, but it’s still challenging. As Porto grows in popularity as a tourist destination, more and more Tripeiros are putting their apartments on sites like Airbnb rather than renting them long-term. But, although there are less apartments going on the long-term market than a few years ago, more apartment rentals are now posted online than ever before so maybe it evens out somewhere. Finding accommodation in Porto depends on how long you plan on staying. If you’re staying for six months or longer, you probably have a few extra options that people staying for less than six months don’t have. We have written similar articles about renting long-term in Lisbon and the Algarve. Naturally, a lot of the information overlaps. If you’re planning on staying in Porto for more than six months, it’s normally cheapest to rent an apartment the traditional way i.e. renting privately or through an estate agent. You may get lucky: there are some Airbnbs and holiday rentals that are available for reasonable medium-term or long-term rents, but typically they’re much more expensive than private rentals. As with most countries, it’s cheaper to rent privately than through an estate agent. Properties are normally listed on classifieds websites like Sapo, OLX, and Custo Justo – the Portuguese equivalents of Craigslist – as well as on property-specialist sites like Idealista and Imovirtual. You’ll also find adverts for properties on the notice boards in supermarkets as well, and this tends to be more common the further away from the city centre that you go. Nestpick is an accommodation aggregator that searches several different medium and long term accommodation websites like Erasmu and only-apartments and, if you’re interested in sharing with flatmates, sites like EasyRoommate, Homestay, and Beroomers. It’s a good option for both medium and long-term rents. LongTermLettings.com does have some listings for Porto and other nearby towns, but not that many. Prices typically start from around €400 a month and can go up into the thousands, depending on the size of the property and quality of the accommodation. You’ll also occasionally find properties for rent on some of the expat websites like expat.com, angloinfo.com, and justlanded.com. These tend to work out slightly more expensive than renting from a “local,” but it can be an easier option if you feel more comfortable doing everything in English. Facebook is also worth a look, especially the Facebook Groups, and more and more listings are getting posted here rather than on classifieds websites. There are plenty dedicated to renting rooms in Porto, and a couple that have more of a focus on apartments and houses. As for estate agents, it’s usually best to spend half a day going around all of the agencies in Portugal. Some list their properties online, but not all do. Note: You’ll notice that property listings use terms like T0, T1, T2, etc. It’s pretty simple. T0 is a studio, a T1 has 1-bedroom, and a T2 has two bedrooms. Most medium-term renters still go through Airbnb, as this tends to be the easiest option: to get the monthly rates, simply enter dates of 28 days or more. It’s definitely pricier than renting long-term privately or through an estate agent but, given that most rental contracts are for a minimum of six months, there really isn’t much more that you can do. There are a handful of websites that are trying to solve this problem. Nestpick, already mentioned, is one. There’s also Portuguese start-up Uniplaces, which anyone can rent through, although their focus is more on the student and Erasmus market. Although there are plenty of alternatives to Airbnb for short-term accommodation like Wimdu, HouseTrip, and myfriendsroom.com, most don’t have an option for monthly rentals (yet). You can rent monthly, but the cost is just the nightly rate times 30. Outside of the summer months, you may find someone who’s willing to rent a long-term apartment on a shorter basis. This is more common in The Algarve, where tourism is concentrated on the summer months, but it’s something that sometimes happens in Porto as well. Know of anywhere else to find a long-term rental in Porto? Let us, and Portugalist readers, know by leaving a comment below. Thanks for this good information. I am trying to find long term accommodation in either Porto or Lisbon. This is the best information that I have found so far. thank you. I do have an apartment, of 2T with suites and another separate rest room. Ground level. 3 or 5 minutes walk to the beach and schools nearby. Is your T2 suite still available and how much? Thanks so much for all of the great information! Thank you so much for the best information on the web! congrats! This is do much helpful information and I feel thankful for you sharing this.